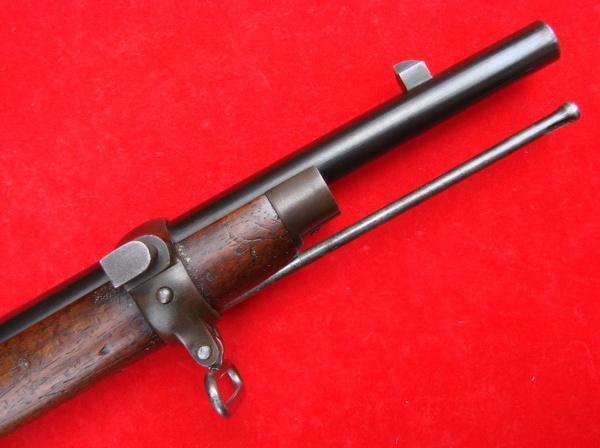 English double magazine bolt action repeating experimental rifle designed by Bethel Burton. 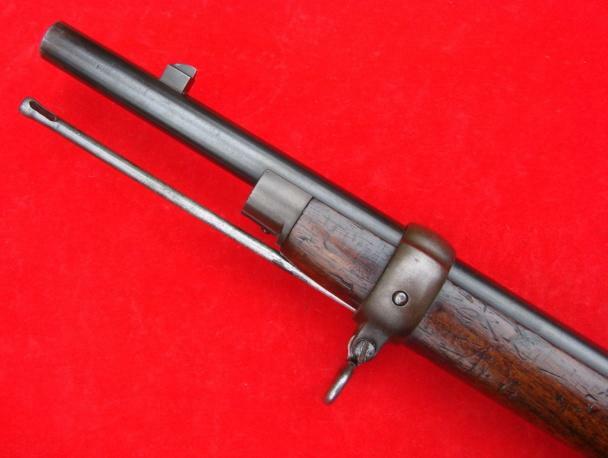 Between 1882 and 1886 a number of Bethel Burton experimental rifles were submitted to the English War Office for evaluation and testing. 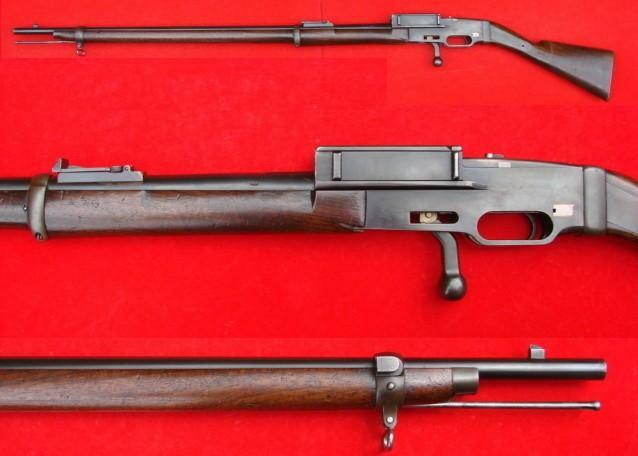 None of these rifles was accepted by the English military. 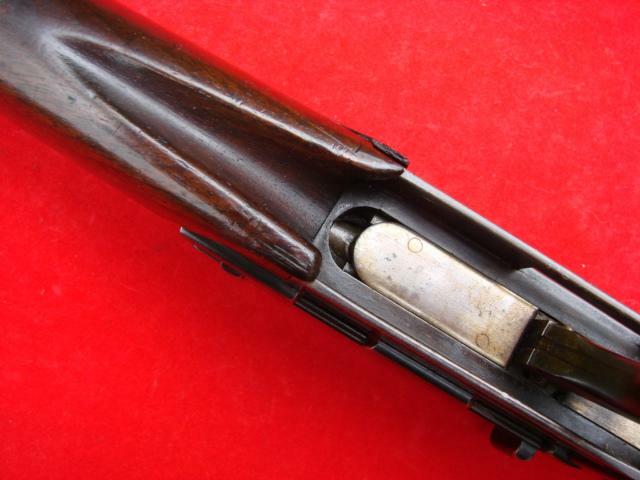 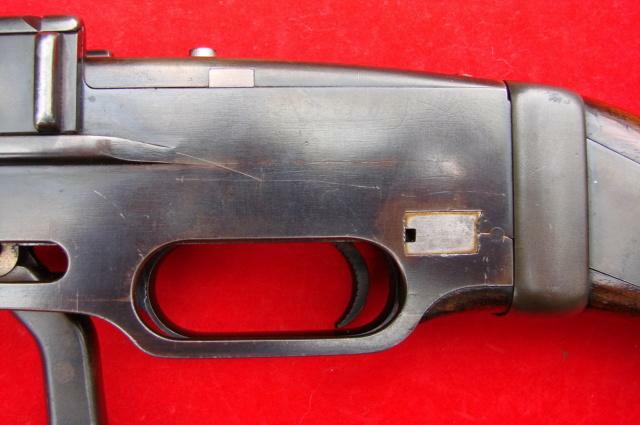 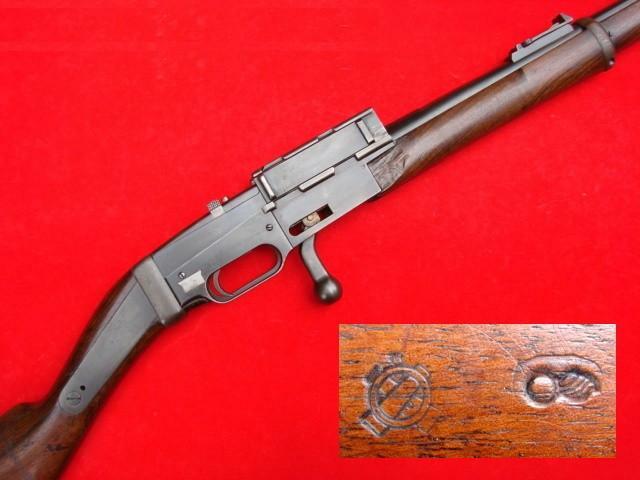 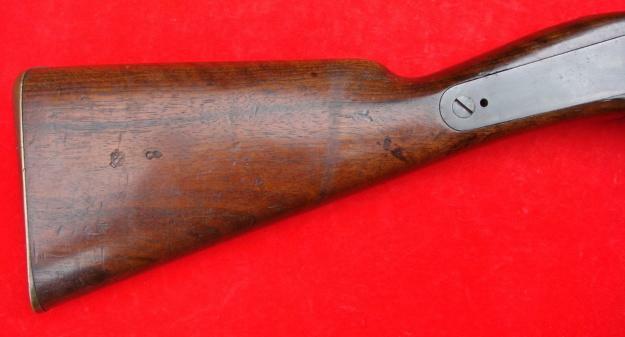 This specimen features a rather unusual straight pull bolt action, with a bolt handle located under the receiver. 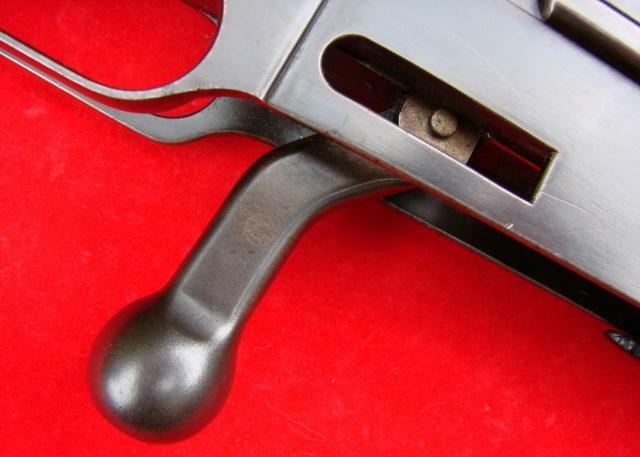 The bolt handles travels back and forth between the two parts trigger guard. 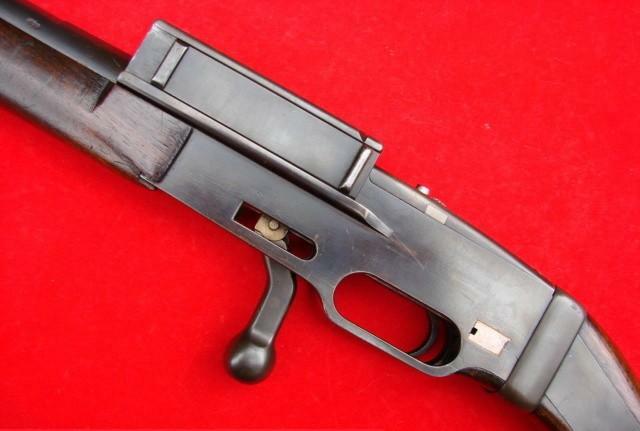 The trigger is located on the right side of the receiver assembly. 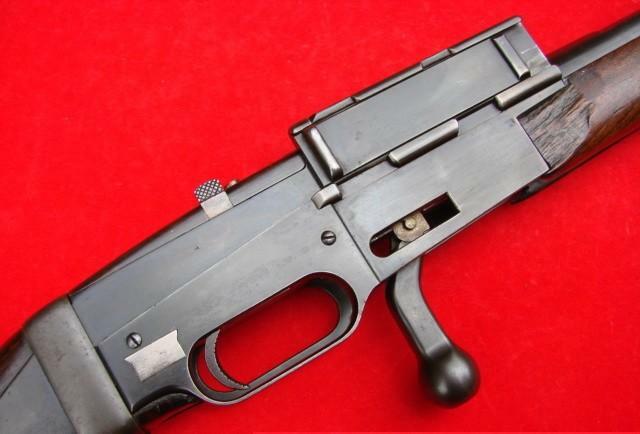 Both sides of the receiver have magazines ports hidden behind the sliding gates. 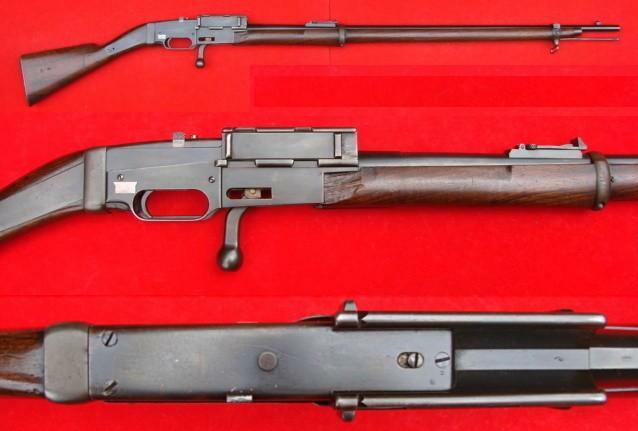 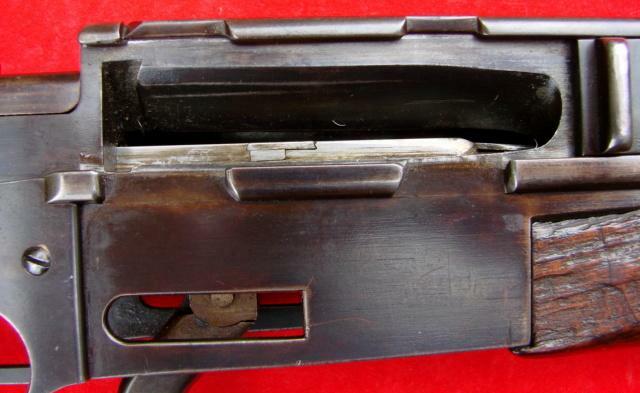 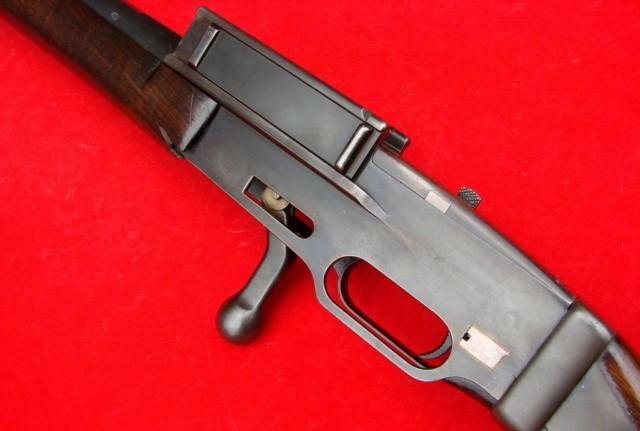 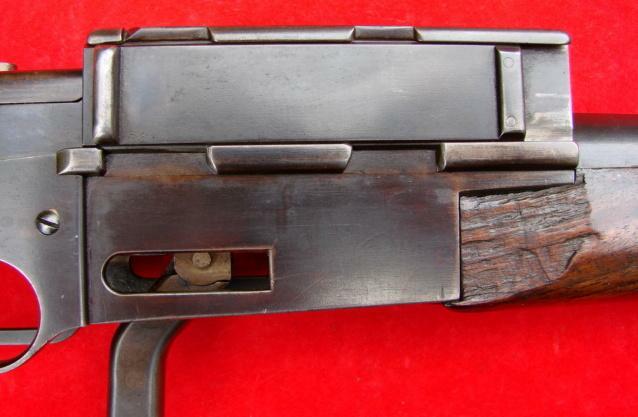 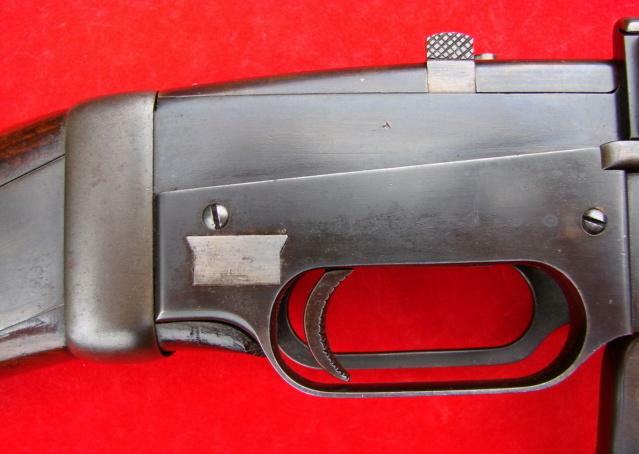 The magazines were fitted to the both sides of the receiver. 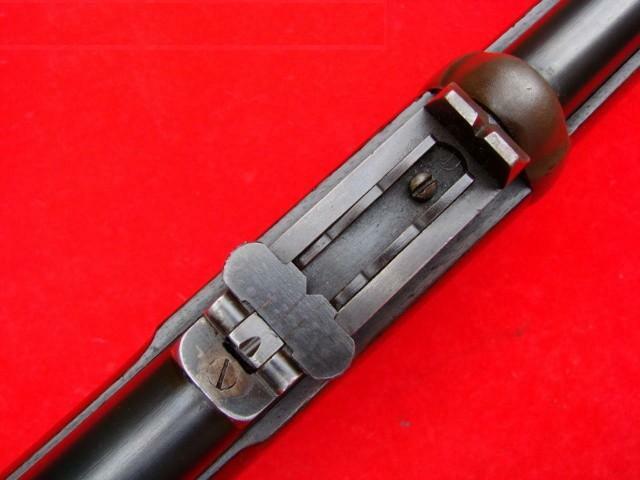 English military style ramp and leaf rear sights with no calibration. 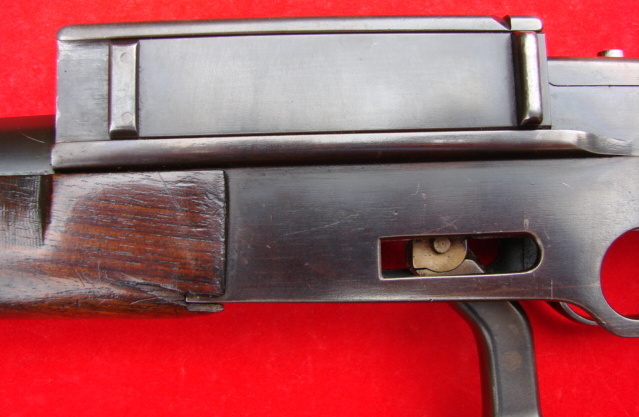 Brass buttplate with a trap. 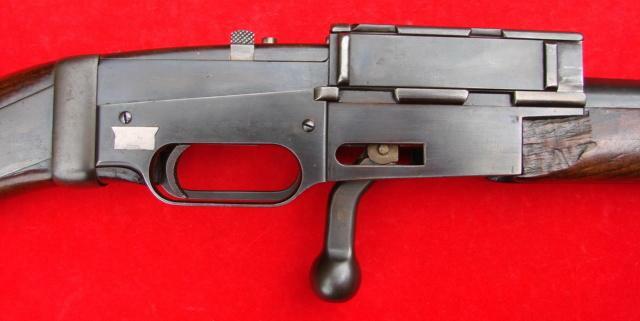 Some kind of tool (empty case extractor?) 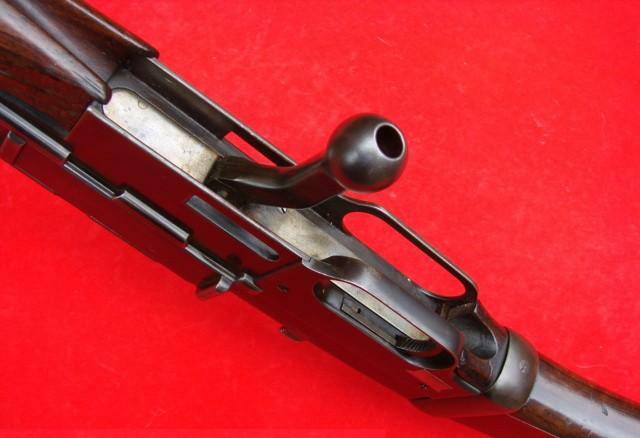 is hidden in the buttstock compartment behind the buttplate. 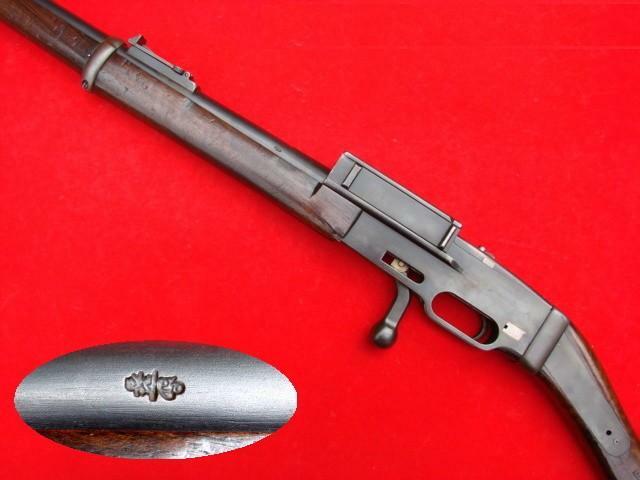 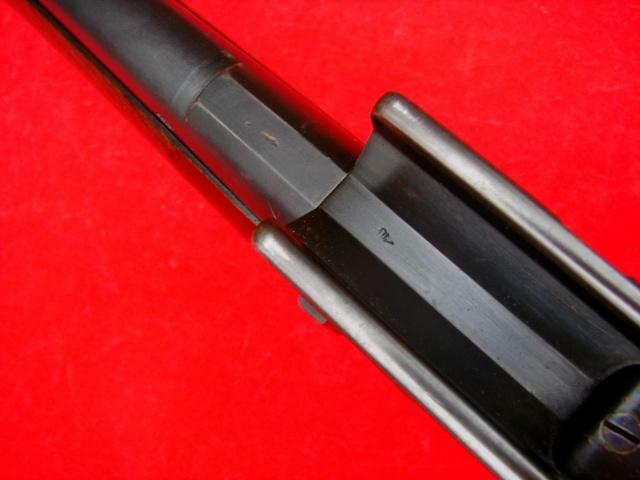 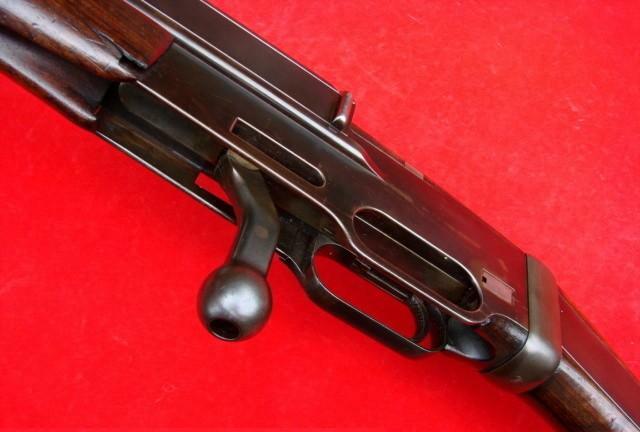 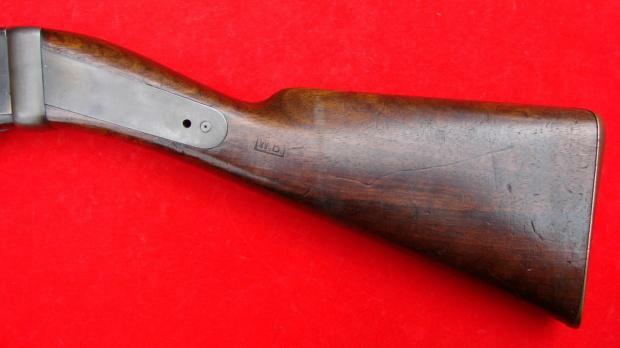 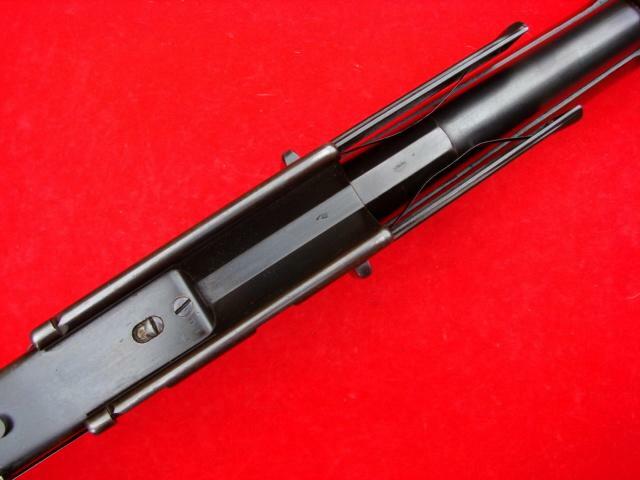 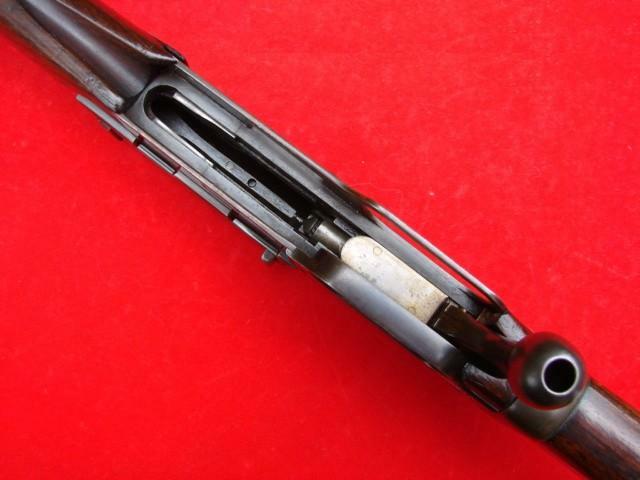 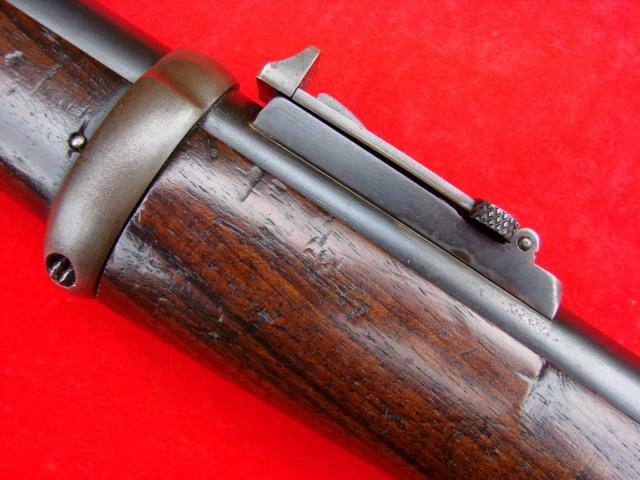 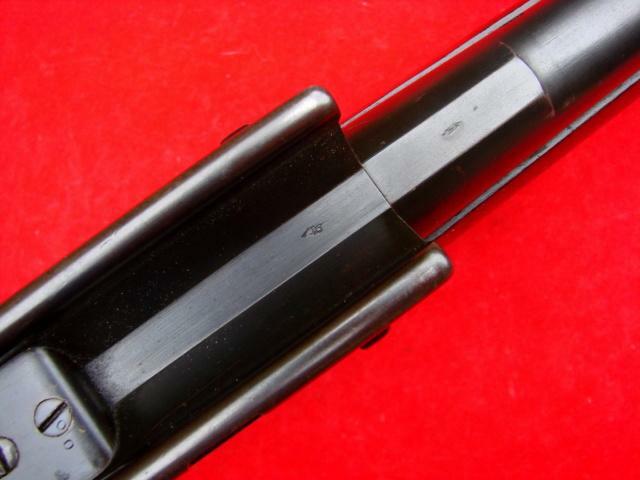 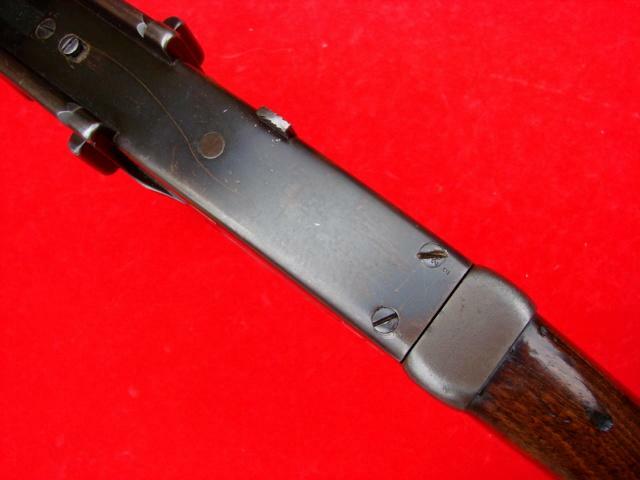 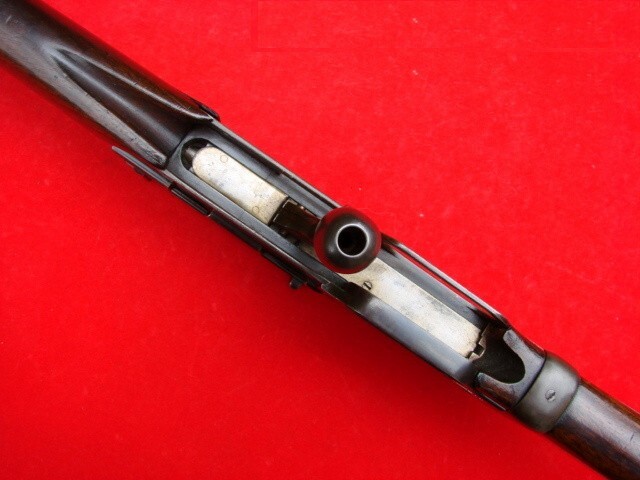 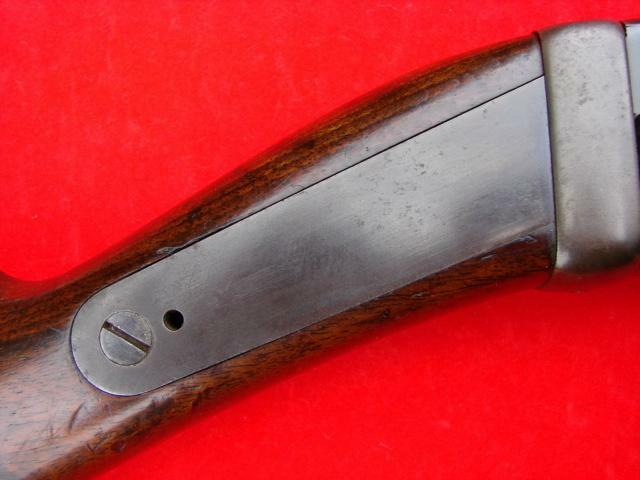 English type bayonet lug on the right side of the front barrel band. 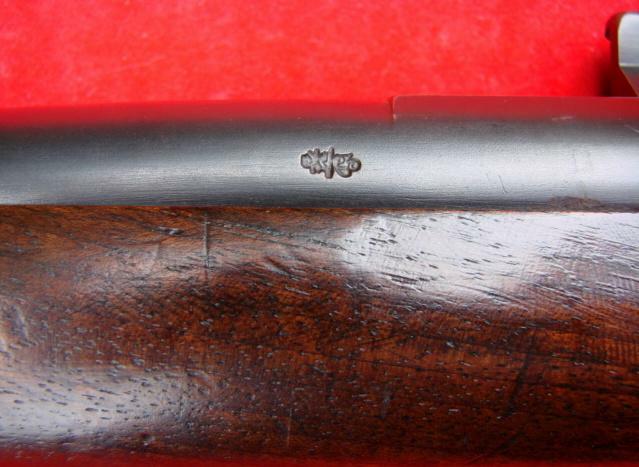 The receiver and barrel display a couple of English commercial proof marks. 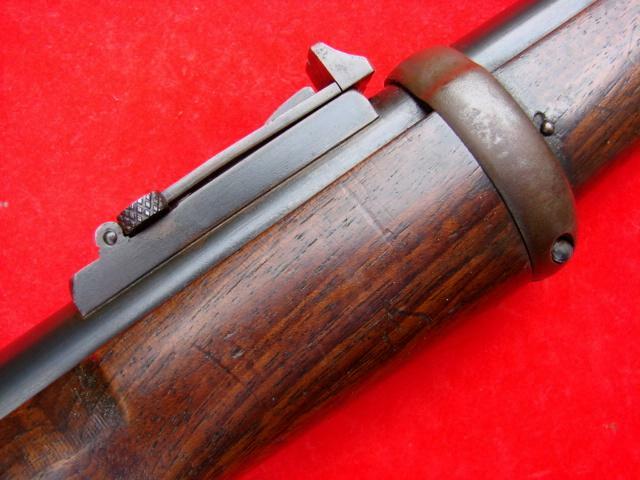 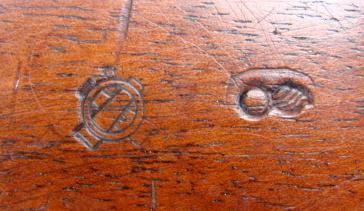 The right side of the buttstock displays two markings, "Flaming Grenade" and "Two Crossed Cannons and a Circle". 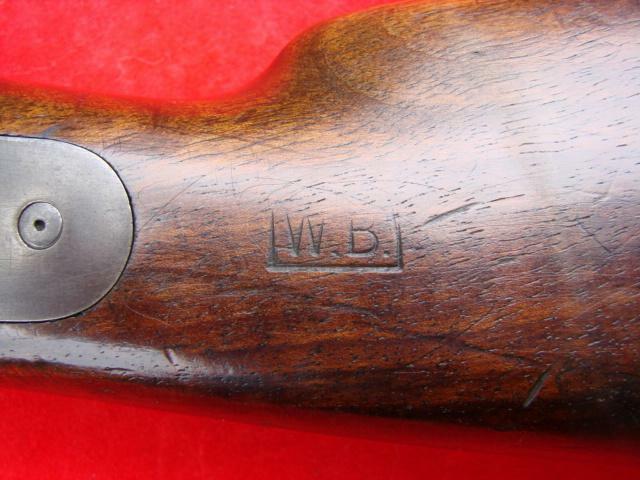 The left side of the buttstock displays, "WB" (in a rectangular). 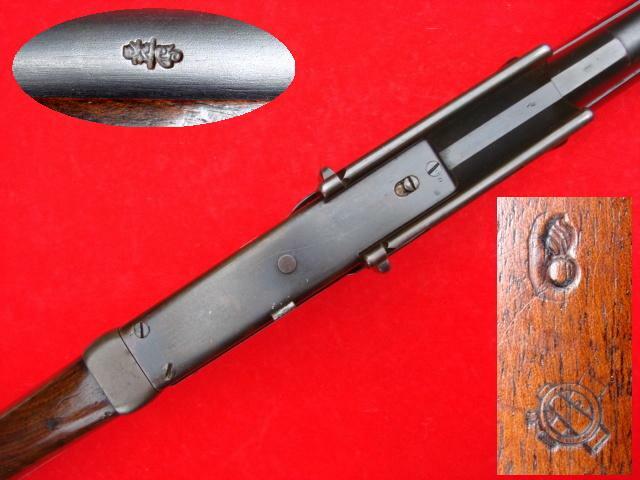 The buttplate displays a number, "A1222". 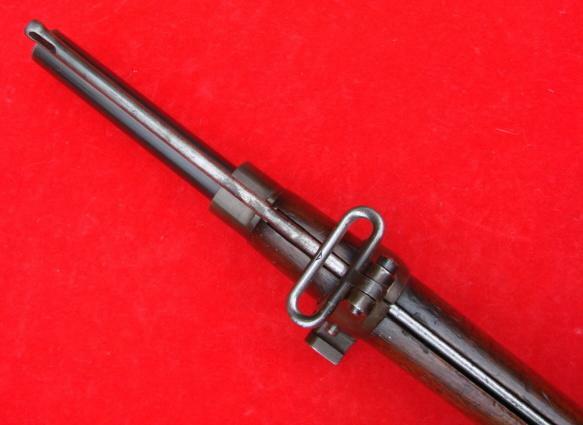 Overall length of the rifle is 52.25 inches. 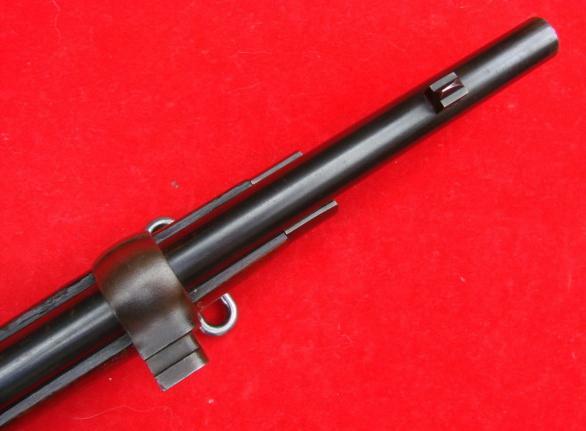 Barrel length: 32 inch. 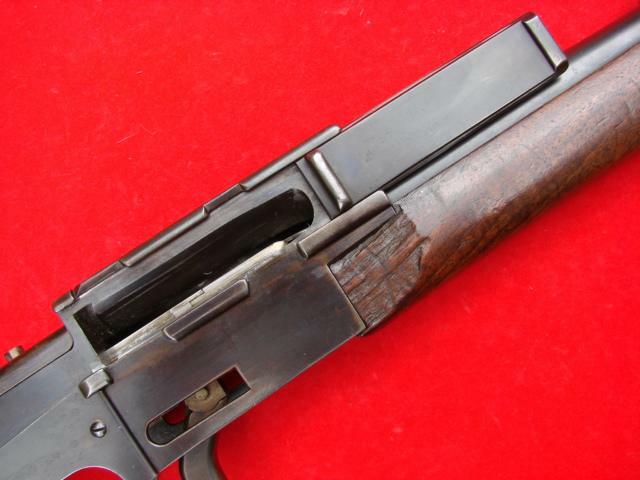 Many thanks to "COLLECTIBLEFIREARMS" for the nice pictures.